Antastha Yoga Malish is one of the series of Antastha Yoga. It is an Indian massage technique based on the tradition of the Akharas, the ancient physical and spiritual training centers. 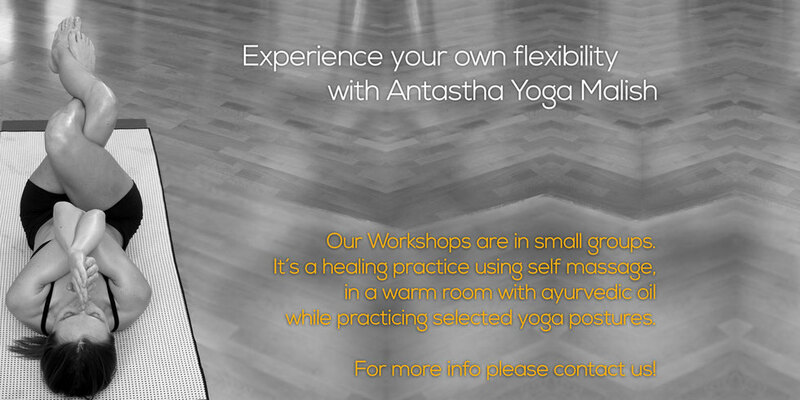 This practice for healing and flexibility uses self massage done in a warm room with ayurvedic oil while practicing a specially selected yoga postures. This combination gives you a new unexpected flexibility that lets you glide into the asanas. It improves your blood circulation, relieves pain, helps in conditions like arthritis while the ayurvedic oil benefits your skin!